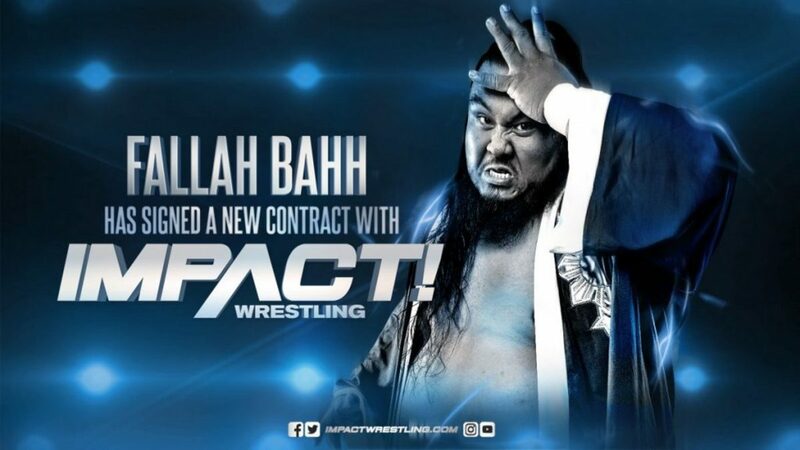 Impact announced today that Fallah Bahh has signed a new contract with the promotion. The announcement confirmed Wrestling Inc's report on Bahh signing a multi-year deal with Impact. Bahh, whose character is a babyface heavyweight, is part of a tag team with KM (Kevin Matthews) in Impact. At this month's television tapings in Las Vegas, they were involved in a program with the returning Reno Scum (Luster the Legend & Adam Thornstowe). Bahh & KM also had a match against Eddie Edwards & Eli Drake at the Las Vegas tapings. Impact has made a few announcements regarding contracts this month, with Edwards and Sami Callihan signing long-term deals with Impact. Impact also announced over the weekend that Josh Alexander has signed a three-year contract with the promotion. Impact is hyping that there will be more announcements later this week, including the return of a "former champion."